The Blog of The Shishukunj International School, Indore. The nascent and fresh minds of students are so creatively inclined that they have the ability to bring into being a universe of their own. They are little tyros who would, with time, unfold into verves, momentum or sensations of various creative dimensions. A chalk sculptor, a clay artist, an amateur painter of Madhubani, Warli, a dabbler of still life, a budding poet, a tenderfoot writer or a fledgling lyricist – one gets all varieties of creatively-aligned students covered in a seemingly dilettantish peel. We at Shishukunj aspire to provide a humble platform to all such potentials to smatter around and mature into the perfection that they are seeking to epitomize or become! This blog is thus an endeavor that would allow all Shishyans to just play around with their latent artistic caliber and enjoy the bliss of a “BRAVO” from known and unknown quarters. While stuck in a terrible storm. Foes envious but he deserved the praise. For the storm could harm in different ways. The ocean, his guard and sky his mate. Leaving the fake life far behind. But when did timidness lead to victory? Without hurdles no one can have success. The valiant continued his voyage. 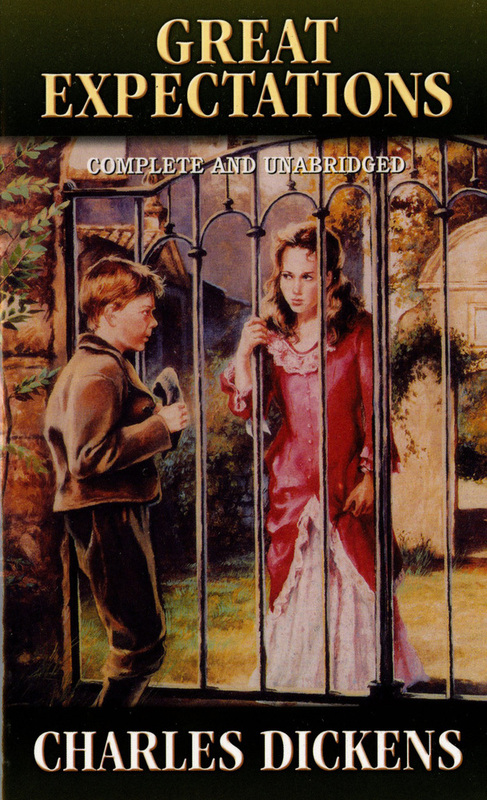 Great Expectations is one of Charles Dickens’ most renowned works. It was published in 1861. Pip is a young orphan boy who resides with his sister and her husband. He knows that he will grow up to become a blacksmith just like his brother-in-law. But an anonymous benefactor settles a lavish allowance on him. He settles in London and starts a new life. His new found prosperity and his eternal love for his childhood friend Estella changes his life in many ways. Great Expectations is generally termed as a bildungsroman. Bildungsroman is a German word for novels that show the psychological development of the central character. Like all of his great novels, Great Expectations has Dickens’ brilliant use of character and plot. 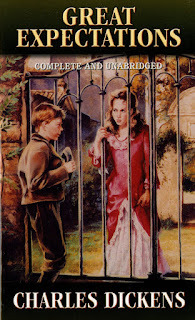 Great Expectations is one of the best stories I have read. Full of romance, courage and hope. It is a brilliant evocation of a time and a place. Is it really that difficult to be happy? No, it isn’t. I consider happiness as an intricate relation between self and actions. But nowadays we have this imaginary wall between self and action. This wall doesn’t belong to Trump and it’s not even made of commonly available building material. It’s made up of a bit of every part of you, that either wants you to be unreasonably sad or wants you to be non/under productive. In some cases, that part is also made up of prolonged thought over silly moments of unexplainable interaction with fellow humans or a prolonged need for attention. I won’t say that the latter two aren't ‘serious’ components of the wall. They’re just not something that should be constituting the wall. We have made happiness into quite an alien concept, like we have audiobooks, books and all that self-help stuff to be happy in life, but, what we need to buy is the idea that you have to be happy all the time, without any self-help stuff. Besides, when you’re happy you have this simple invisible-yet-super-aura around you. You’ll feel it, along with those around you. You must have seen in paintings of holy saints and deities, this circle of light behind them. Don’t you get it? It’s the aura, that starry glow of aura is there with them for they rest in perpetual happiness. ‘Why not be happy’ is the question. As I said, when you’re happy, you’ll have this aura around you and others will feel it. People who care for you will search for ways and reasons to keep that happiness alive for as long as possible while others might do things that sadden you. Feel free to be happy everywhere, for believe me that one of these days I’m taking a big hammer to break down that wall made up of all that non-happiness and let all that happiness flow in like water broken out of a dam. I lay at night over a flowery bouquet. I think they might have had a word. Oh Nature! Path to heaven straight! Is it the rhyme that builds it? Or the depth of emotions? Is it the use of vocabulary? Or metaphors set into motion? One that touches the heart? To pen down all our thoughts apart? Feel without it being real. Not one, but all of these things, finally make a poem. In the morning, illuminated by white light, the sky is shaded in a hue of light blue. A sense of peace, a sense of hope, instilled in Prashant’s mind. The chirping of the birds, the sound of the water hitting the river bank, a perfect harmony. As the day proceeds, the rays of light get deeper, the sun rises higher, strengthening Prashant’s body along with the hope and will to live the day. A day beginning with motivation, leading to hard work, now reaches the stage of fading. Prashant returns home, he cannot miss this beautiful opportunity of sitting in the veranda, sipping tea, and eating biscuits, watching the sunset. And as the sun does set, there comes the evening. People are tired, having exhausted themselves with the day’s work. With the darkening of the sky, they look for a reward, to go out with friends and family. So does Prashant. If only he knew he was about to witness another shade of the day. While Prashant was driving along the sea, adoring the skyline, a dark and menacing storm gathered. Furious wind began to beat against the houses with a speed and fury that Prashant had never witnessed before. Lightning strikes and unfortunately it is Prashant’s car which is its target. What is more unfortunate is that Prashant is seated in it. Poor soul, wandering the city, enjoying the rest of the day, only to meet the end of his life. The car catches fire, the storm settles, as Prashant’s body gets destroyed in the fire. It starts raining, calming the fire, leaving just smoke, and ash. At last, even the rain stops, late night sets in, illuminated again by the moonlight. The chirping of insects and birds can be heard. Away, in some hospital, a child is born. Maybe it is Prashant’s rebirth. The night turns into morning, and there remain, a thousand shades of day. A place which was very far. And the shoppers there are never the last. An auction being held which got everyone on their toes. Guess I forgot what I was there for! A co-educational English Medium Senior Secondary School operational from the academic session 2005-06.